Packing for your Kilimanjaro climbing adventure with Ian Taylor is really important. Getting the right gear for your Kilimanjaro climb can be daunting. It doesn’t need to be. Ian has climbed Kilimanjaro 30+ times and has so much experience in a wide range of conditions. Watch our video, it is the most viewed video on You Tube. Read some our REVIEWS and READ MORE about all you need to know about climbing Kilimanjaro. Climbing Kilimanjaro is challenging so having the right gear is important for a comfortable experience on the mountain. This video has the core items Ian will bring for his attempt on the summit of Kilimanjaro. If you need individual advice then GET IN TOUCH There is no one size fits all when it comes to gear, so get in touch. There are some items of gear you don’t want to leave at home. Keeping your feet, core, hands, head warm are very important. You don’t want to compromise in these areas. Also well worn in trekking boots are essential. We have more experience than most climbing Kilimanjaro with over 1,400 people on the summit. 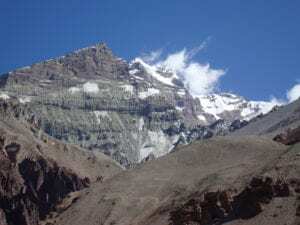 Ian Taylor Trekking have 95% success on our 8 day climbs. Once you sign up for one of our climbs we are available to help you train, get the right gear and fully prepare for your Kilimanjaro adventure. This packing video for Kilimanjaro is designed to help you. It does not represent what gear you should have. You might need warmer gloves, thicker merino wool layers and different brands and items of kit. We want to be your number one resource for climbing Kilimanjaro and we can help you get the gear that will work for you. We have the knowledge and experience so get in touch today. Packing for your Kilimanjaro climbing adventure with Ian Taylor, why not call us and we can help you get the right pieces of clothing to suit you. We have a full kit list available to you on sign up and will walk and talk you through your packing for Kilimanjaro. We are available 5 days a week in support of your Kilimanjaro climb. Having the right gear can make all the difference in a safe and enjoyable climb up Kilimanjaro.